The team at the GAP work really hard to bring: exciting and innovative ways of supporting young people through arts activities. Bringing young people and the rest of the community together for some intriguing adventures, creative encounters, meaningful conversations and lots more. 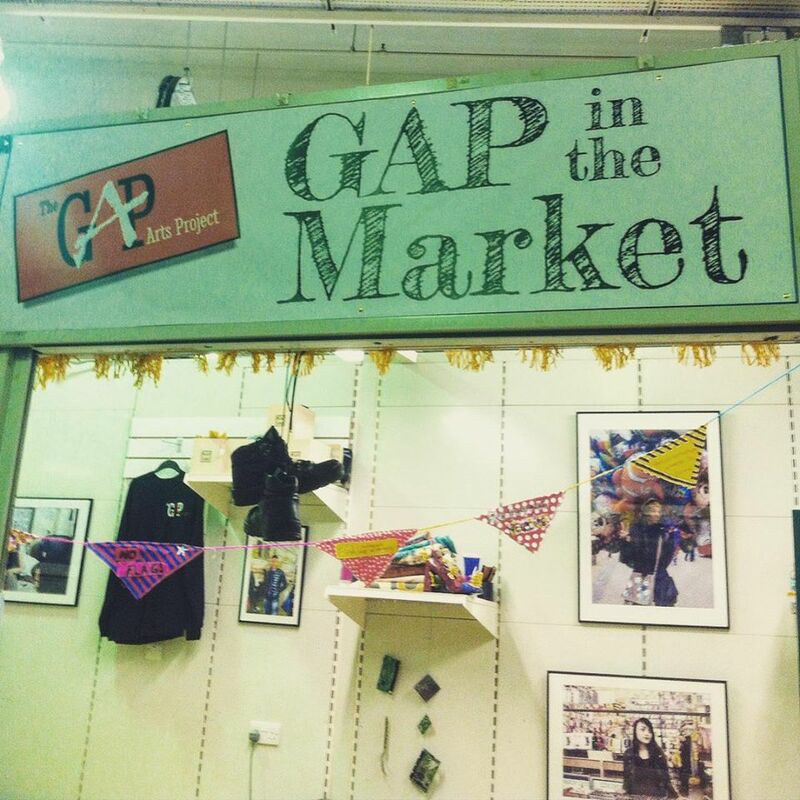 The latest programme of activities, adventures and chances for you to get involved with arts and culture led by the team is… (drum roll please)… The GAP in the Market. GAP in the Market, now about to enter into its second week, has been really cool so far, and I 100% reckon you should go and check it out! The second week of activities is set to include: script development, photo walks, clay city (this looks ace), films, playreading, a grub crawl, craft workshops, poetry, colouring (ahhh), board games, rug making and so much more!! 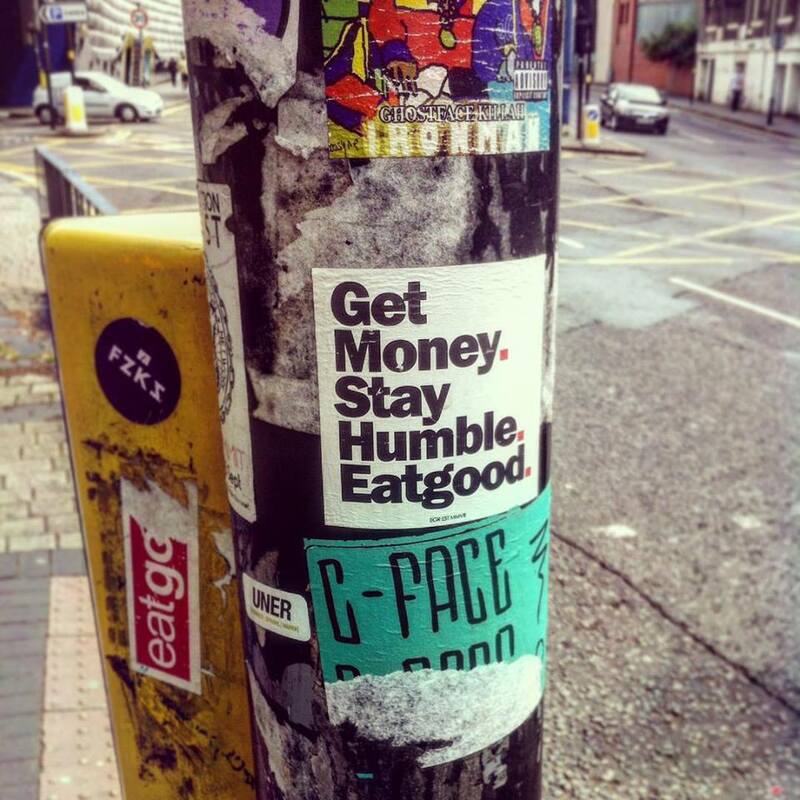 I had a really nice time interviewing people who clearly felt very strongly about the city of Birmingham. 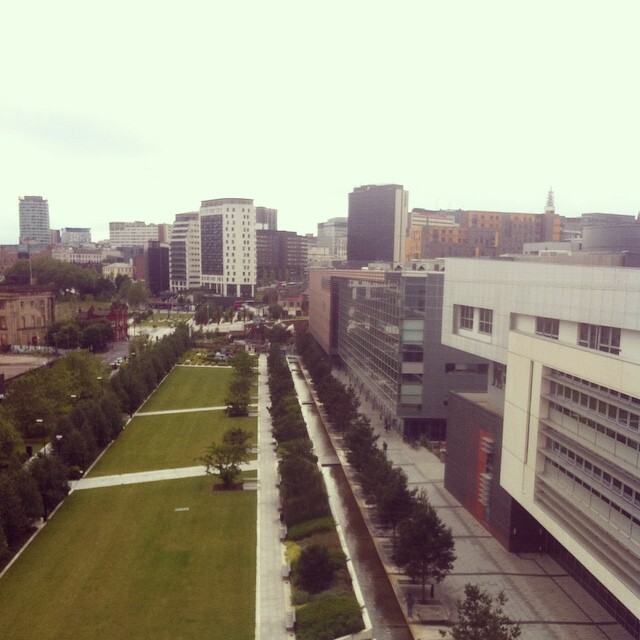 Birmingham is, in my opinion, a fantastic, vibrant city. There is so much opportunity – something I’ve learnt through the various jobs and research I’ve undertaken, as well as through the individuals whom I met today. It was lovely hearing stories, and positive reflections of the city, as well as learning about aspirations and visions for Birmingham in the future. 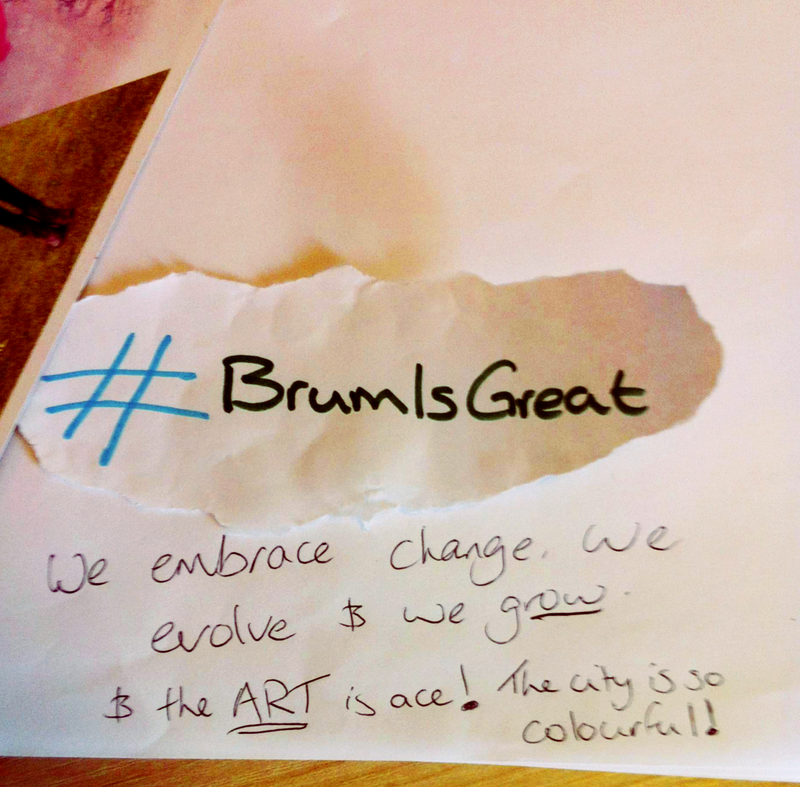 I thought I’d list (some) reasons as to why I think #BrumIsGreat… I grew up in Essex, yet I feel incredibly at home here in Birmingham, and I really have grown to love the city. 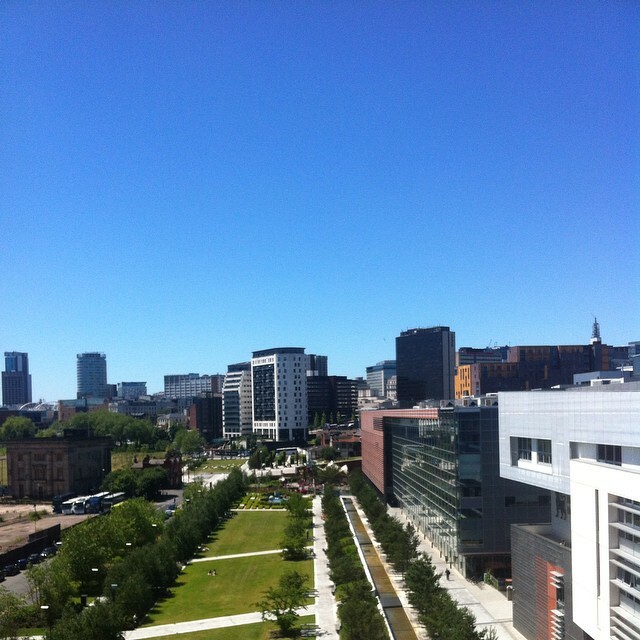 NEW: The view from BCU’s new Curzon Building on a beautiful day! 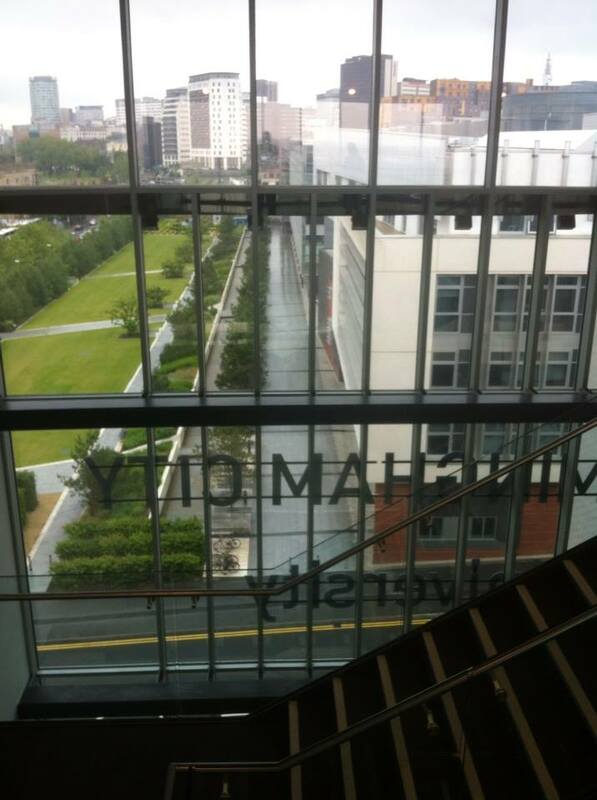 I was really, really lucky to work from Birmingham City University’s new build yesterday. It hasn’t opened to staff, students and the public yet, so I was running around like an excited child looking at everything (making use of the quiet!) 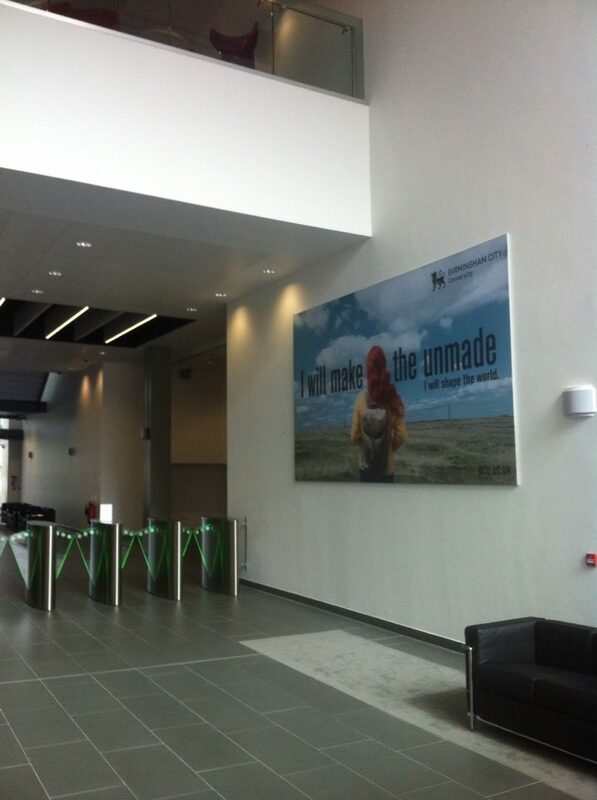 Some departments have already moved over and the final touches are underway, and it’s really really special. I’m very proud of my University, this is the second new build that I’ve been lucky enough to experience, and quiet honestly the new library within the Curzon Building is most likely going to be my new home! (It’s that cool haha). Here’s the view from the top floor (exec. suite, ooh la la) – it’s pretty impressive. I reckon on a sunny day this view is even more amazing. I haven’t spent a day ‘off’ in Essex for a while. I was home last week, however I was working from home on a marketing project (and research) whilst recovering from a tooth extraction. (It was as fun as it sounds haha!) Though the work wasn’t that bad! Plus, the perks of being at home mean I have my cat annoying me every five minutes, endless coffee and my incredible parents buzzing around in their own crazy worlds. Well, every year my dad helps out at the Blackwater Country Show – a fantastic show that takes place in Essex. (In fact this year was its tenth anniversary.) My dad helps set up – and he really enjoys himself, he gets to drive all the fancy farm machines (don’t worry he’s legally allowed!) Every year I’ve been jealous that I’ve not been able to help out, nor have I been able to attend. Though I haven’t been able to help out this year I did manage to attend on the big day – and it was Fathers day, so it was an ace day! The sun was shining, and situated in between two lakes, with loads of horses, sheep and so forth – it really was a pretty glorious setting! I really enjoyed myself, and my family did as well! It was so lovely to have a day where I could escape, stroke some lambs and hold some chickens. (Also, the food and cider was an added bonus…) The atmosphere was really lovely, with display teams and showcases… my favourite of course was the Essex Police’s Dog Unit – they put on a really impressive display (though I am of course biased, with policemen in my family).